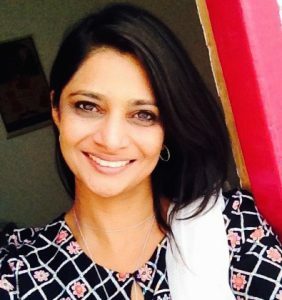 Dr Ayisha Aishwarya is a leading edge thinker, author, & instructor in the fields of evolutionary and wholistic healing, spiritual awakening, soul embodiment & multidimensional consciousness. Her writing and teaching spans themes of cellular to societal health, individual to collective transformation, micro to macrocosmic balance, and personal to planetary illumination. She offers public talks, group seminars, personal sessions, interactive “loveshops”, and leads sacred pilgrimage worldwide. Ayisha has walked between worlds since she was born, weaving profound inner mystical teachings and spiritual principles into outer life. With worldly accomplishments across arenas — as an international athlete, political economist/activist, physician, and change catalyst — Ayisha merges experiential wisdom of the body, the brain and mind, the heart, the soul, and Spirit with an unwavering passion for evolving a human culture of love, truth, freedom, justice, dignity, inclusion, & understanding. Ayisha’s capacity to empathise and vision from the atomic to the galactic gives unique perspective adding depth and breadth to her work. She is a cosmopolite, using scalpel like perception to cut through religious and tribal dogma in order to bridge cultures, countries and continents. Ayisha is designer and creator of Diamond Body HealingTM, a philosophical and practical approach to multidimensional self mastery. It imparts a wholistic methodology to integrate, merge, and align the body, brain, heart and soul in the context of one’s external ecology including creative purpose, relationship, society, culture, and our Earth home. Diamond Body HealingTM is an evolutionary healing model which embraces our multifaceted and dynamic nature as humans, and compels us to realise our interrelatedness to other beings, our planet, and the Cosmos. It updates timeless lived teachings from ancient spiritual and wisdom traditions utilising a modern scientific systems based approach. One is able to catalyse profound transformation and transfiguration on all levels, promoting illumination and growth through personal and relationship peace plus creative fulfilment. Ayisha is privileged to mentor and train inspiring creative change-agents from all around the world working in a variety of spheres including writing, music, visual arts, filmmaking, entrepreneurship, philanthropy, activism, healthcare, politics, environmentalism, sacred economics, the law and restorative justice. Each shares a common objective to grow in awareness, bringing conceptual schemes and wholistic practices to heal their lives and relationships, their vocations, their respective fields, and our wider humanity. These are highly motivated individuals committed to awakening into Higher Consciousness, embodying Divine Love, and deeply passionate about expressing this through an enlivened life of compassion, vitality, joy, intimacy, beauty, creative expression, and service – Wealth through all WorldsTM. Ayisha is currently building Diamond Body Media, a multimedia portal to house our publications and educational resources. Ayisha is author of Wealth Through All Worlds: Towards a Paradigm of Plenty (2019), The Myriad of Meditation: A Method to the Mystery (2019), and Equilibrate: Finding Spiritual and Material Homeostasis in a World of Extremes (2019). She is creator of numerous audio programs, interactive courses, and immersive seminars designed to assist in the non-violent awakening, illumination, and evolution of human consciousness & culture. Ayisha launched Diamond Body Trading in 2018, an online marketplace for ethical, sustainable, and beautiful sacred objects, art, jewellery, and instruments. Ayisha is an advocate for Universal Spiritual Values and Global Ethics in applied international policy (The Sustainable Development Goals) as well as Interfaith and Interspiritual dialogue and mutual understanding. She is an activist for universal freedom and justice through the realisation of equal rights for all women, children, refugee and displaced persons, First Nation’s peoples across the globe, and the Earth. In Ashrams, Monasteries, Mystery Schools, and Schools for the Soul over 30 years. Initiated as Instructor & Master Healer in several spiritual lineages (Eastern, Western, Shamanic/ Indigenous Traditions). Certifications in Gemstone/Crystal Healing & Sound Healing. Spiritual Pilgrimage on five Continents.